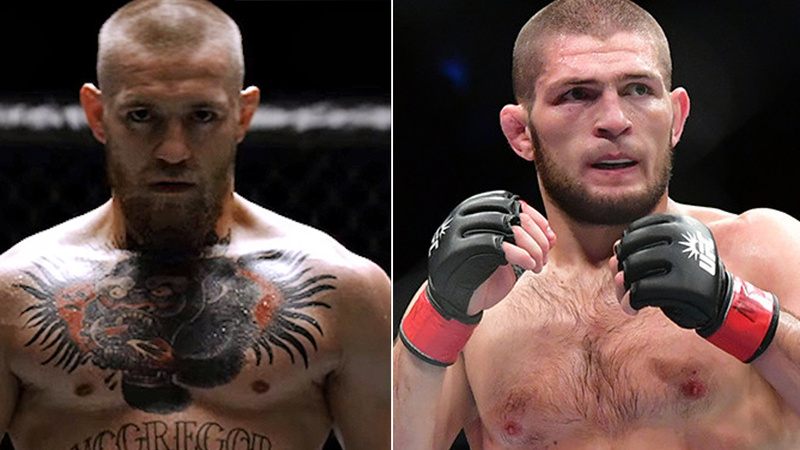 UFC finally delivered us a massive title fight between Khabib Nurmagomedov and Conor McGregor which is set to take place on Oct. 6 at UFC 229 in Las Vegas. The promotion announced this blockbuster money fight on Friday at UFC 25th anniversary presser with few hours dusted off, and oddsmakers were already giving their numbers out. These are just the early betting odds from Bovada.com which shows Nurmagomedov opens as a favorite with -200 (bet $200 to win $100) with McGregor comes in at +160 (bet $100 to win $160)., which is due to his two-year hiatus from the sport. McGregor will enter the showdown with a record of 21-3, while Dagestani is unbeaten at 26-0. McGregor will be a challenger, he never technically lost the lightweight title after scoring it from Eddie Alvarez at UFC 205 back in 2016. But McGregor was forced to forfeit both his featherweight and lightweight titles due to inactivity inside the Octagon, during that time he had a blockbuster boxing bout with Floyd Mayweather, which Irishman lost via TKO in the tenth round. Nurmagomedov won the lightweight title at UFC 223 back in April after defeating short notice Al Iaquinta. Khabib may be favorite right now, but it will be interesting to see if those odds changes in the coming months as we get closer to UFC 229 PPV event.